Local Hotels found in Cornwall. The Falmouth Hotel (known as ‘The Falmouth’) can proudly lay claim to the crown of Grand Dame, having been the first commercial hotel to be built in the town, back in 1865. The Trelawney Restaurant has an AA Rosette for its gourmet cuisine and more simple dishes. Award-winning Cornish cream teas are also available. 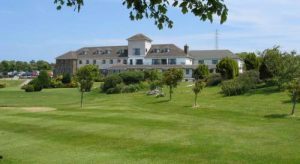 Other leisure facilities at Falmouth Hotel include a whirlpool, sauna and snooker table. Guests can enjoy a range of spa treatments at Nirvana Beauty Centre. 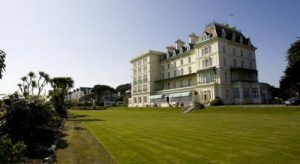 The hotel offers self-catering apartments as well as bright bedrooms, some with sea views and a balcony. There is free parking on site, and free Wi-Fi in public areas. Accommodation Hotel Rooms: 69, Hotel. There is a peaceful terrace, an innovative restaurant, free parking and free Wi-Fi. The spacious rooms at Greenbank are elegantly decorated with a nautical theme, and offer ample work space and a seating area. All rooms have an en suite bathroom, free toiletries and tea and coffee facilities. The Harbourside Restaurant serves fresh seafood and local specialities, and offers wonderful views across Falmouth Bay. The well-stocked bar has an impressive collection of rare spirits, and the cocktail menu features seasonal fresh fruit. 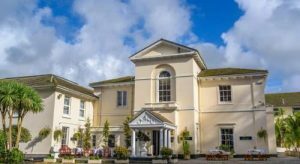 The Greenbank Hotel in Falmouth – a superb 4 star hotel to stay in if you are thinking of coming to Falmouth, Cornwall. Latest booking: 1 hour ago . An elegant Georgian mansion house Hotel of Excellence Georgian in acres of parkland in Redruth, Cornwall. The epitome of elegance and luxury. Ideal for corporate events, family celebrations, weddings. The stereotypical image of Cornwall is captivating enough: craggy cliffs, smugglers’ coves and surfers hanging ten offshore. But peek behind the nautical bunting and popular tourist resorts and you’ll discover the real Cornwall – a compelling land of myth, legend, dramatic scenery and rich culture – The AA Guide to Cornwall gives you all you need to know to get the most out of your visit to this wonderful county. From open-air theatre to fish ‘n’ chips in Padstow, the Eden biospheres to the galleries of St Ives, each entry is packed with the very best sites to see, things to do, recommendations for eating and drinking, and places to explore nearby. With everything from local legends to must-see festivals and events, this authoritative and practical guide ensures you will never be lost for something to do. This Shire County is on the very south-western tip of England where lies the beautiful county of Cornwall. Itâs without a doubt one of the most fascinating areas of England how can it be anything else, when it is claimed that King Arthur was born there! With a delightful mix of superb beaches (among the best in Great Britain), outstanding scenery and charming towns, villages and cities, Cornwall has something to offer every traveller. There are many popular resorts, delightful old fishing villages and a coastline which varies from rugged cliffs battered by giant Atlantic waves to gentle areas with sandy coves and river estuaries. Despite the wealth of attractions & scenic beauty on offer, Cornwall has many affordable hotels, B&Bs & guesthouses to suit the budgets of all holidaymakers. Cornwall is also Britainâs premier surfing capital â not surprising given that it enjoys the best weather anywhere in the country. It also has some of the cleanest beaches and attracts visitors by the millions every year. Whether itâs lazing on lovely white beaches, ambling along wonderful sub-tropical gardens or exploring our quiet, picture-perfect fishing villages youâre after, youâll find it all when you visit Cornwall. The small town of Tintagel claims to be King Arthurâs birthplace. Cornish history is mystical, ancient and highly fascinating and well worth exploring. Take A Break Holidays takeabreakholidays, Cornwall Accommodation.